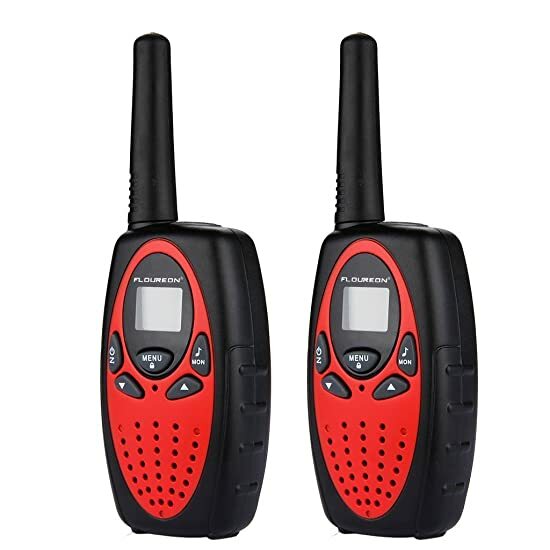 This Floureon 2 pack 22 Channe walkie talkies with a generous 3km range (MAX 5km open field) can help you to keep in touch with roaming children or a friend during an outdoor activity or expedition into the wilderness.This 2-way walkie talkies can connect each other in remote area or wild field where phone signal is poor and it has the perfect portable size for outdoor adventures. 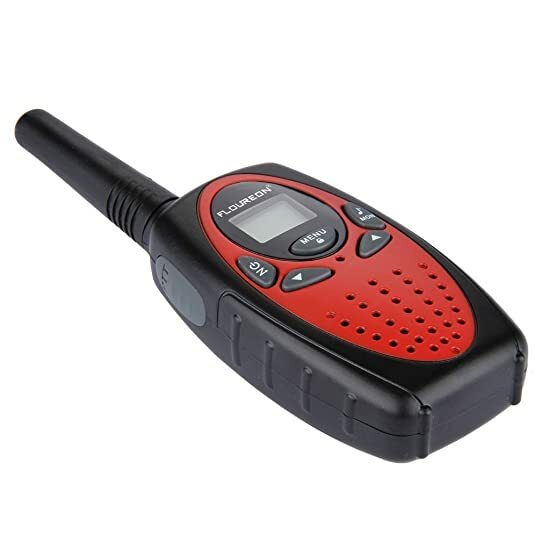 There's even a convenient belt clip to attach your 2-way radio walkie talkie when not in use and a cool LCD backlit display. 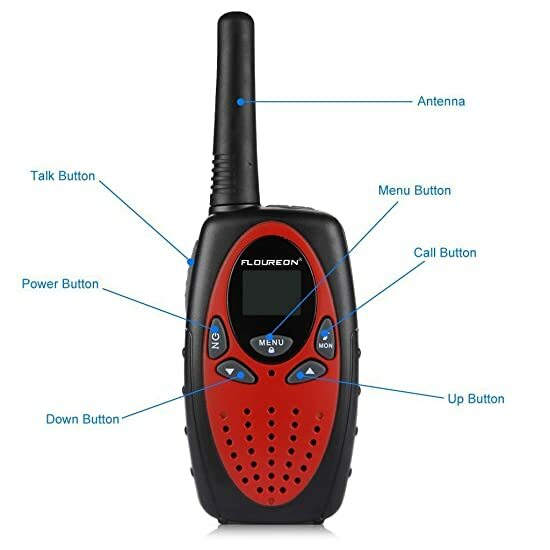 【Two Way Radio 】This Floureon walkie talkies set has FRS/GMRS 2 way radio provide access to both the FRS and GMRS bands with long range distance communication, supporting 22 channel PMR system to transmit and receive icons. It requires 3 AA batteries per unit (not included). Super long play time; 3.5 hours continuous, 9 hours standby. 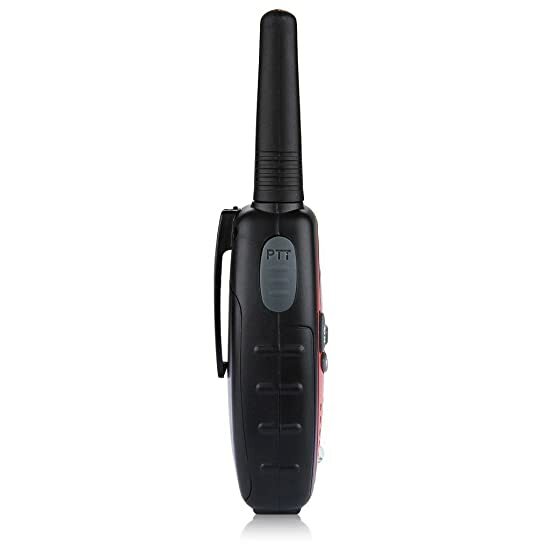 【 Long Range Communication】Two way radios long range set up to 3000m (MAX 5km open field). Adverse weather, car(Iron material), voyage and buildings(yard, street) will affect the range. Adjusting power to 1W will be helpful. 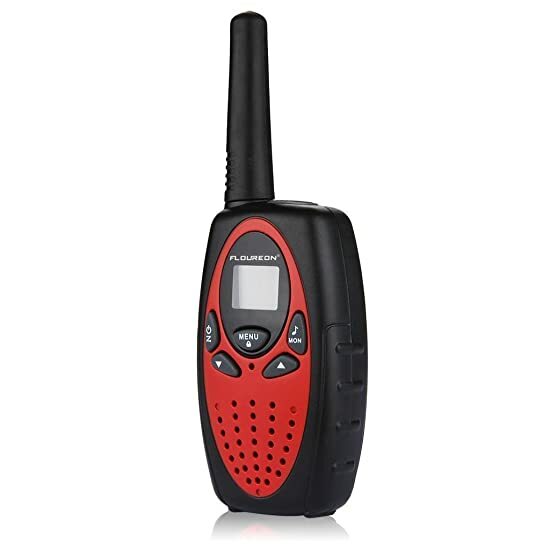 【 Clear Sound Quality】The Fluoreon Kid Walkie Talkies has clear and loud sound quality, with durable and environmental-friendly material, It's safe for kids to receive the clear and smooth sound with adjustable volume level, auto squelch function will mute the background noise so you get the clear sound even in crowded places. 【LCD Display & Night Use】 - LCD backlit display, battery status indicator, Clip on belt holder, Modern compact design. LCD backlit display comes in handy at night as it provides high visibility to see if everything's alright. 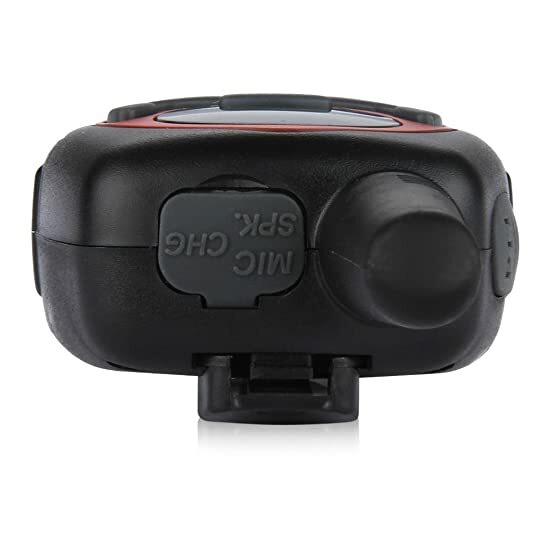 Built-in LED torch can be used as both flash and emergency light. 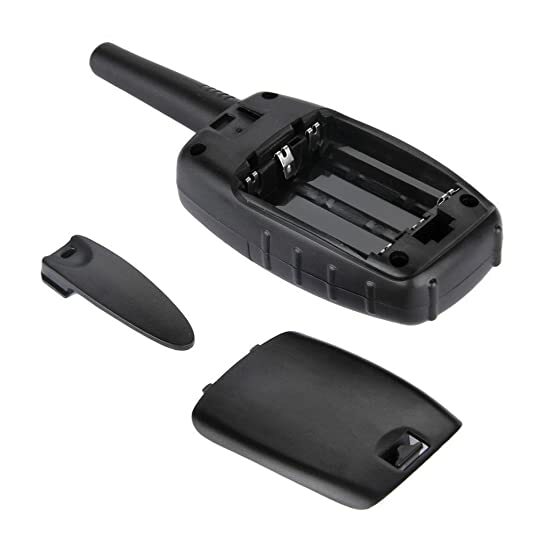 【 One Year Warranty】All Floureon walkie talkies have 1 year warranty, 100% satisfaction and zero hassle returns guaranteed. We provide 7/24 friendly customer service.